At the start of the 18th century, Edinburgh's intellectual climate fostered many clubs and societies of which the most prestigious was the Society for the Improvement of Medical Knowledge founded in 1731. 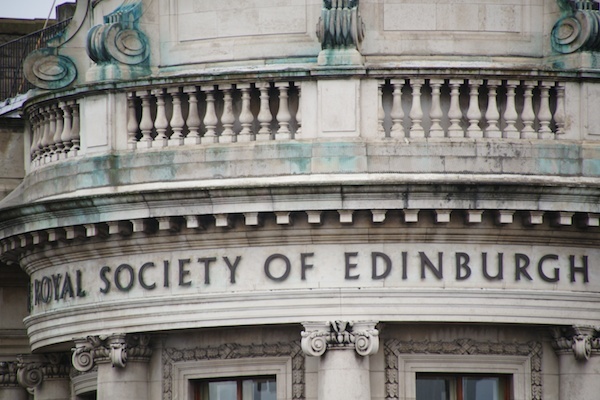 Its name changed over time and became the Edinburgh Philosophical Society and then finally the Royal Society of Edinburgh in 1783, issuing, in 1788, the first volume of its new journal Transactions of the Royal Society of Edinburgh. www.royalsoced.org.uk/. The RSE first occupied its current abode on George Street in 1810 and in its rich interiors many of the PLEA 2017 Forums and the Internet Café will be housed, while delegates are looked down upon by the portraits of people like David Hulme, James Hutton, Lord Kelvin, Walter Scott and James Watt.